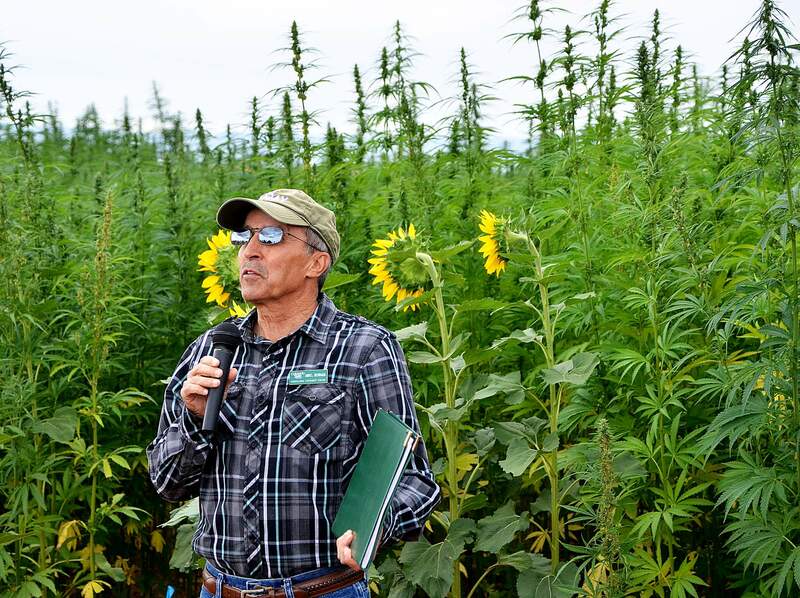 Abdel Berrada, manager of the Southwest Colorado Research Station, says the station’s industrial hemp crop has improved during the second year of testing. “We learned this year to plant earlier,” he says. A bee gathers pollen from a hemp plant at the Colorado State University Southwest Colorado Research Station in Yellow Jacket. 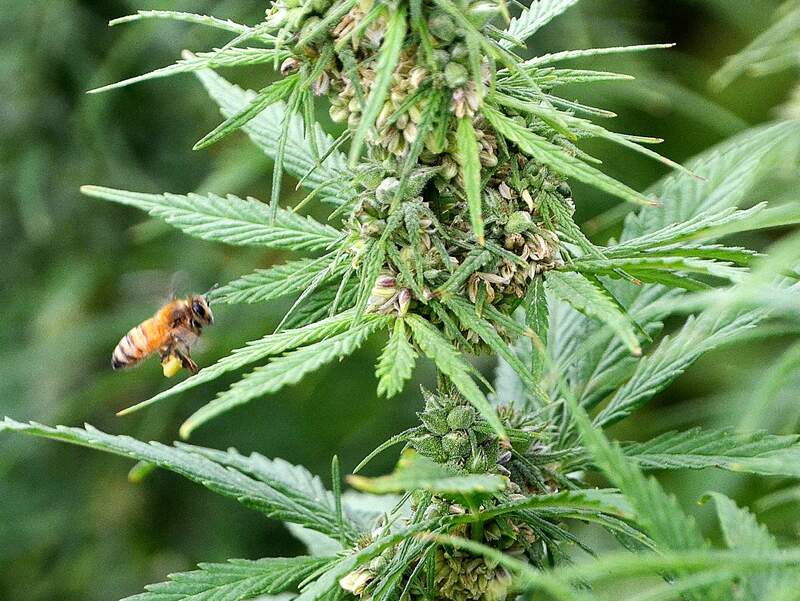 Honeybees are attracted to hemp but don’t seem to cause any harm. Beneficial bugs that prey on other insects, such as banded thrips and lady beetles, have been found in hemp fields in Fruita. Testing hemp strainsHemp is a non-psychoactive variant of the cannabis plant used to make a wide variety of products including textiles, paper, rope, fuel, soaps, medicine, food and even industrial plastics. Colorado is one of 24 states that has legalized growing hemp, though it’s illegal at the federal level because it’s genetically related to the high-inducing marijuana. But CSU researchers at Yellow Jacket wondered whether hemp’s THC levels could change because of environmental stress. Honeybees are attracted to hemp but don’t seem to cause any harm. Hammon said beneficial bugs that prey on other insects, such as banded thrips and lady beetles, have been found in hemp fields in Fruita. How trials turned outBerrada went over the specifics of the hemp trials. Hemp grows well in marginal land but needs a lot of nitrogen, which was applied at 180 pounds per acre. If grown for fiber, hemp requires good amounts of nitrogen, phosphorous and potassium to encourage vigorous stalk growth. Last year’s crop yielded 2 tons of fiber per acre. “We’re narrowing it down to determine which species will do best here,” Berrada said. One aspect researchers did not expect was the hemp’s impact on nearby marijuana plants allowed for personal use under Colorado law. In July, a neighbor complained that the research center’s hemp could cross-pollinate his outdoor marijuana plants reducing their THC level.